ArtSees Diner and Raven’s Brew coffee have teamed up for Team Rissa! 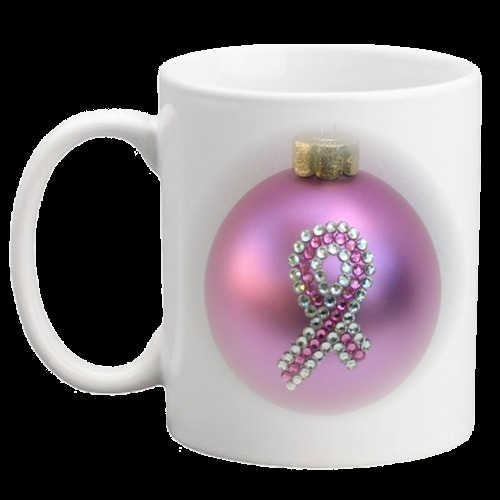 For a limited time when you order one of Raven’s Brew premium coffee thru ArtSees, you will be making a donation to the Team Rissa fund. Marissa Rapier, the little sister of ArtSees is battling with breast cancer. Every day is a battle! Diagnosed in June of 2014, Marissa is struggling to make ends meet on a daily basis. Because of the treatments to save her life, she is unable to work. This is where you come in! (order form is to the right) If you are needing “ground coffee” state it in the special instructions! 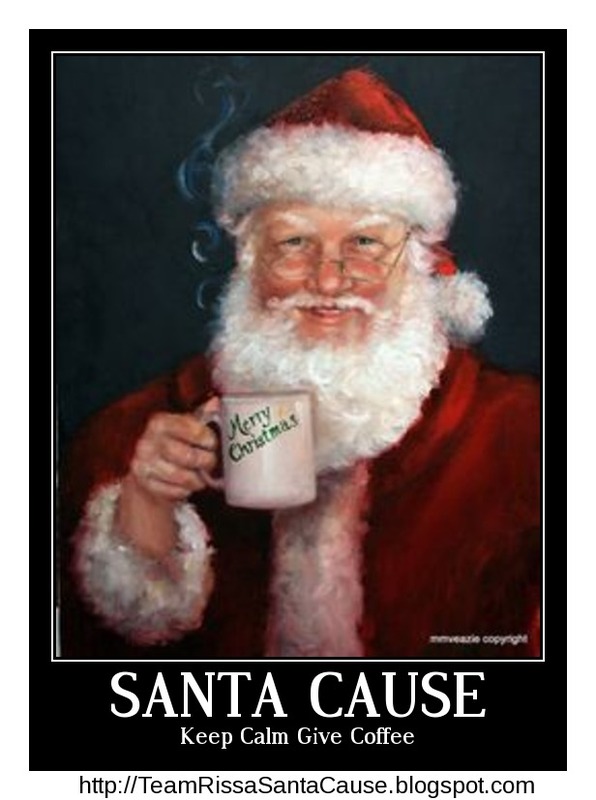 So…how does this SANTA “Cause” work? Go to Santa Cause for Team Rissa and choose your brew. Much like the Team Rissa t-shirt drive, when the “cause” ends all orders will be shipped out in time for Christmas. Go here, choose your brew, place your order, pay. 100% of the entire PROFITs will go directly to Marissa on the closing day of the promotion. Long ago, far away, in a seascape of countless islands shrouded in mist and robed in dense forests, Raven’s Brew Coffee came into being. This place was the legendary Alexander Archipelago, also known as Southeast Alaska. The exact locale was the small and isolated town of Ketchikan, the rainiest inhabited place in North America. If there was anything to match the quantity of rain there, it was the number of trees, fish, ravens and the unfathomable, unquenchable craving of the local human denizens for rich and strong, hot, steaming, soul-warming coffee. Nothing excited their senses more than a proper cup of coffee and that coffee was Raven’s Brew. Its perfect balance engendered social harmony. Its freshness and purity matched the intense beauty of the natural setting. Its heat was the satisfying antidote to rain-drenched conditions, and it accentuated perfectly the sunny days. Now the Raven flies into help this Raven haired beauty known as Marissa, that Wild Haired Maven with a heart of Gold! Oh, and Don’t forget the Chocolate! Put some Alaska into your stockings this year and keep a few for you! Raven’s Brew blissful collaboration with Sitka’s gourmet chocolatier, Theobroma Chocolate Company. High-grade dark chocolate is blended with Raven’s Brew espresso. “Follow your bliss, Bite this!” This is an Alaska-sized bar, measuring 6″ long, 2 1/8″ wide, and 3/8″ thick. 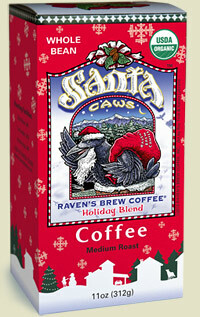 Santa’s Favorite Santa Caws (of course!) It is a “Caws for Celebration!” This year’s Santa Caws™, composed of 100% naturally processed organic Ethiopian Sidamo, offers a dynamic complexity more commonly associated with exotic blends. This coffee presents a ripe, fruity sweetness, resonant depth, medium body, and dreamy symphony of caramel, cocoa nibs and blueberries with a touch of cedar. Don’t forget the Chocolate! Place your order! Bourbon & Bacon YES! 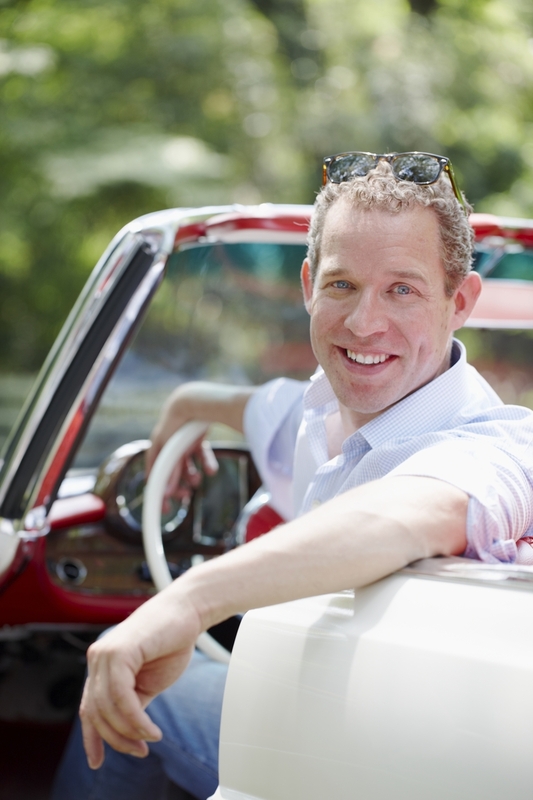 Bestselling Author and Southern Gentleman Morgan Murphy 10/15 by ArtSees Diner Radio | Food Podcasts. Steve Champagne, ArtSees Diner Radio music historian, writer and libation expert welcomes Bestselling author and TV personality Morgan Murphy as he celebrates the release of his new bestselling cookbook, Bourbon & Bacon. Morgan considered “America’s funniest food critic,” is a bona fide Southern Gentleman. He sings his ode to two of the South’s most talked about food groups – Bourbon and Bacon, in his new book: BOURBON & BACON: The Ultimate Guide to the South’s Favorite Food Groups. A little history and a whole lotta bourbon and bacon! 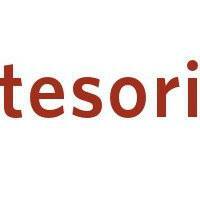 Tesori Chicago;Saturday Night Stever is Blogging about Treasures! Read ArtSees Diner, Simply Chicago here. The home of ArtSeesDiner, ArtSees Diner Radio, Steve and Mary E., and ArtSees Diner Blogs!